Like many health conscious Americans, Dr. Rosalind Picard wears a fitness tracker on her wrist. 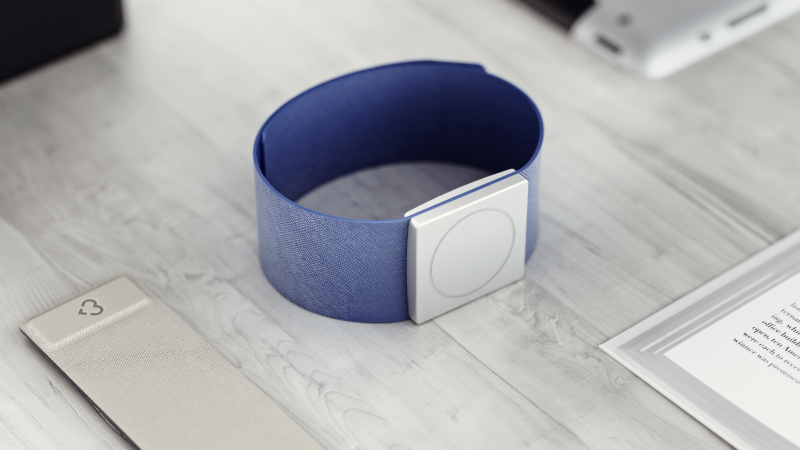 But hers doesn't just track steps, it has an extra sensor that gathers medical information. Picard hopes the sensor, which measures the skin's electrical response, will soon save lives by predicting major health events such as epileptic seizures. As a leading engineer at the MIT Media Lab, Dr. Picard researches the autonomic nervous system, which includes heart rate, respiration, digestion, perspiration, and the fight-or-flight response. Picard’s smartwatch, developed by her company Empatica, records electrodermal (EDA) activity and wirelessly sends the data to a smartphone. The technology isn’t new, versions of the sensors have been used in polygraph tests for decades. But new, highly sensitive sensor technology can now provide a continuous reading on our emotional states, linking the tiniest increase in sweating to psychological or physiological arousal. Picard calls this idea of using tech to help bridge the gap between human emotions and technology, ‘Affective Computing’ and she has been driving this field of study for several years. The insight Picard has gleaned from electrodermal sensors go far beyond mood tracking. For people with autism, Picard’s lab has shown that the sensors can reveal emotional episodes that they might not be able to express verbally. “A person with autism gets overloaded and they shut down and retreat into their own little world,” she said. Picard explained that autistic responses to difficult situations can seem non-intuitive and sudden to observers and might involve head banging, other self-injury, or catatonic behavior. “In some instances, they are doing this to release a neurotransmitter that can quell the pain.” Picard explains, "if an autistic kid is lying on the floor motionless, but his EDA sensor reads that his signals are through the roof, caregivers can make better decisions about how to respond." Electrodermal sensors also have important implications for youth with epilepsy, which Picard discovered when one of her students placed the sensors on his brother. Twenty minutes before his brother had a Grand Mal seizure, the sensors registered off-the-charts skin conductance. After further study, Picard and her collaborators were able to show in peer-reviewed scientific publications that EDA sensors could provide reliable warning for seizures in some patients. Last fall, Picard’s company, Empatica, launched a crowdfunding campaign on Indiegogo and raised over $700,000. The smartwatch, called Embrace, combines technology from fitness trackers with EDA and heart rate sensors to measure stress, epileptic seizures, activity and sleep. The company’s challenge now is to complete the FDA approval process and finish production on the first models that will go to backers of the campaign, many of whom are epileptics.